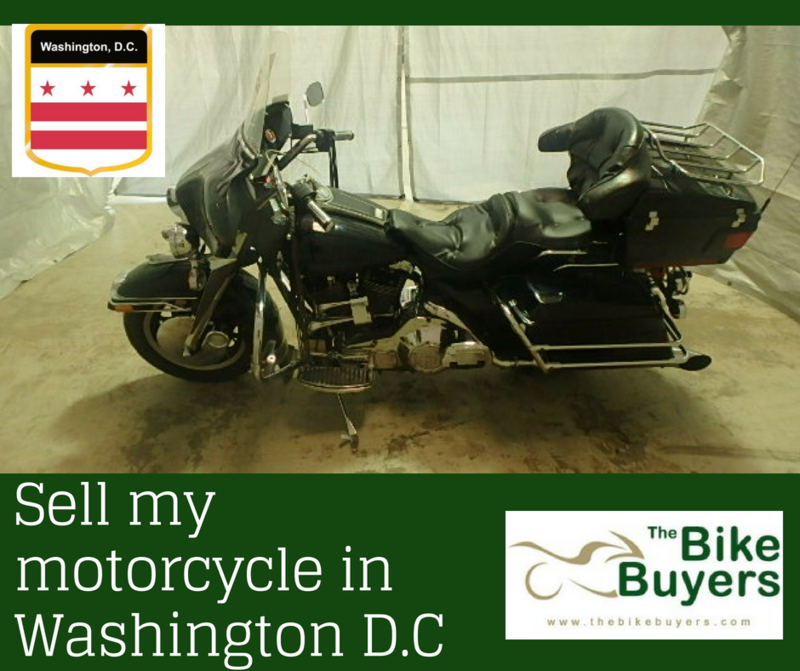 Sell My Motorcycle in Washington D.C.
Now a day’s sell my motorcycle in Washington D.C. becomes very easy and simple. There are many buyers are available in the market for making a deal with you. TheBikeBuyers can be the best option for you. You should not to worry about the condition and model of your Motorcycle. We buy all the type of motorcycle even it can be junked or damaged. We pay more cash than any other motorcycle buying company. The largest buyer of used motorcycle buyers in the U.S with 25 years experience. We offer a fair deal for your motorcycle in Washington D.C.
Get instant cash for motorcycles in Washington D.C.
You will be paid for used, damaged, wrecked, new, crashed motorcycle in Washington D.C.
TheBikeBuyers.com offers top dollars for your used motorcycle. We pay which we promise without any delay. We are providing free towing service anywhere in USA. For making a best deal you have to fill up some points about your motorcycle in Get a quote form or you can call us on 877.751.8019.